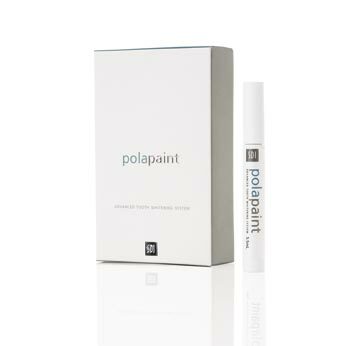 Natural soother and conditioner The incorporation of special additives minimizes plaque formation and enhances remineralization to further reduce sensitivity. Antibacterial properties help in tooth recovery. 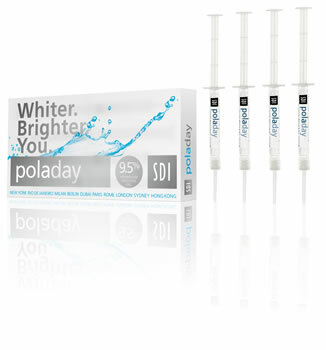 high water content The high water content of the gel reduces dehydration of the enamel and decreases sensitivity. high molecular weight thickener This reduces the tacky feeling and drying effect of the gel in turn reducing sensitivity further. high viscosity The high viscosity gel ensures it can be easily and securely placed into the tray and remains in the tray for the entire procedure. taste The pleasantly flavored spearmint gel is both fresh and long lasting. 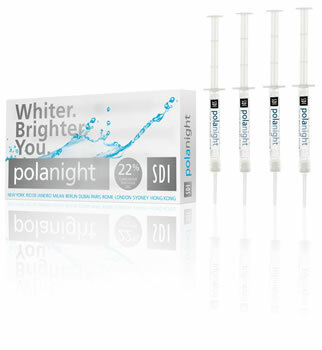 fluoride releasing The addition of fluoride remineralizes the tooth surface assisting in reducing post-operative sensitivity. 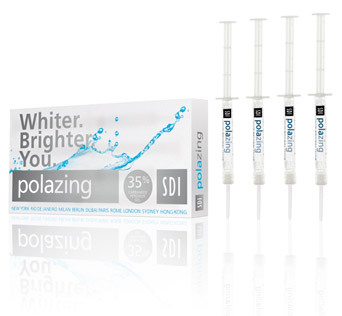 contains desensitizing agent The Pola Day and Pola Night gels contain a desensitizing agent which acts on the nerve endings, and desensitizes them at the pulp-dentin border, in turn minimizing sensitivity and maximizing comfort.